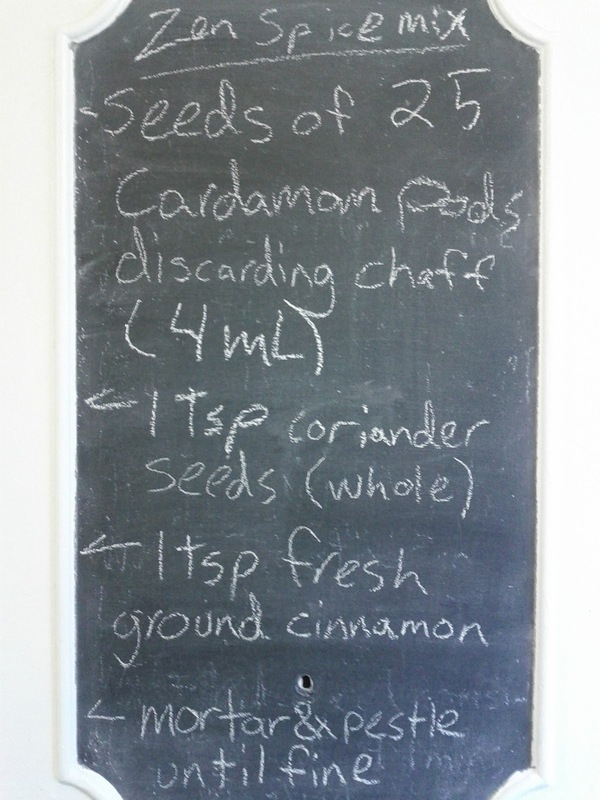 This time around I measured the spices to make a recipe. It is really good, but the cinnamon didn't quite come through except in the aroma. 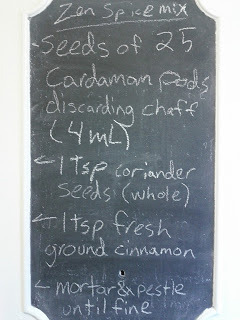 I will amend the recipe to include 1/2 teaspoon more cinnamon to balance it out, maybe a 1/4 teaspoon more coriander too. This drink is warm, complex, nuanced, light and heavy all at the same time. First, the warm smell of cinnamon and cardamom hits your nose. Then, you taste complicated, hard to work out, but quite good coffee with citrus notes from the coriander. The cardamom cascades over your palate leaving you with an aftertaste that constantly changes in your mouth for minutes. I love this spice mix with Sidamo because all the flavours work so well with the natural blueberry flavour. It is an entirely different beast than Steampunk.